This cinch is made of 100% Alpaca - one of the world's rarest natural fibers. Alpaca fibers are softer than cashmere, yet extremely strong and resilient. 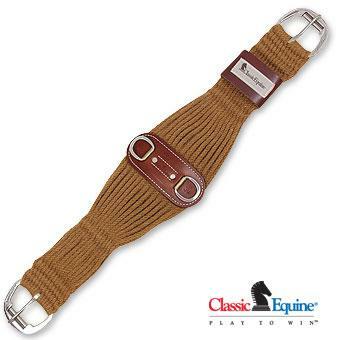 The elasticity is comfortable to your horse and has natural "give" as he moves. 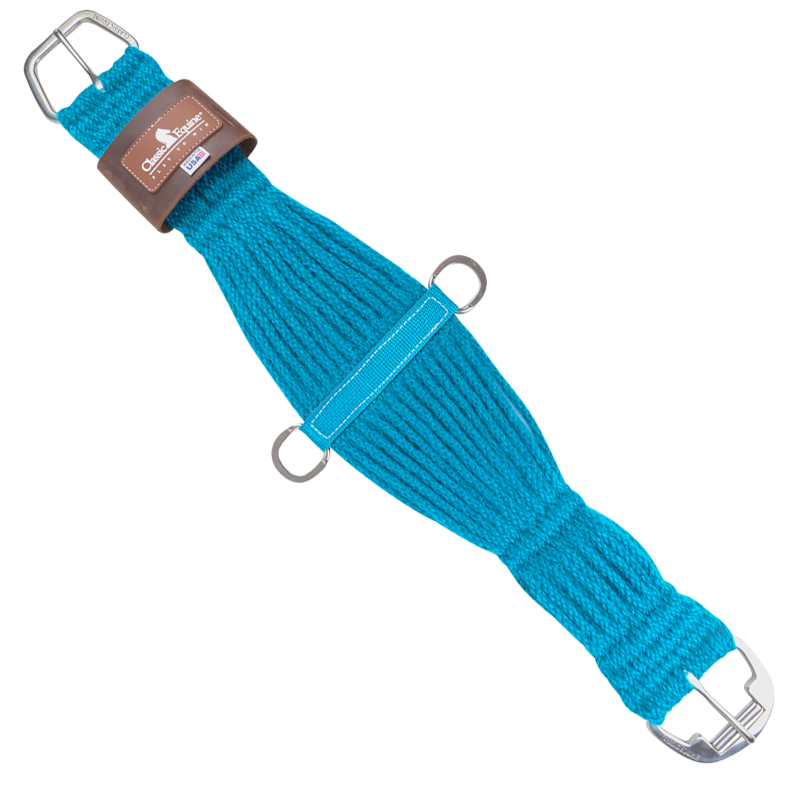 The Alpaca cinch has stainless steel hardware with dual roller buckles for easy cinching and durability. The Shoulder Relief Girth actually changes the position and angle of the billets to prevent the saddle from interfering with the shoulder. The center of the girth is set forward to sit in the horse’s natural girth groove. While the sides of the girth are cut back to meet the billets 2 inches behind where the horse’s natural girth groove lies. 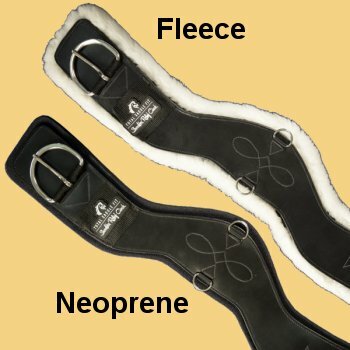 This brings the billets from angling forward, to becoming perpendicular to the ground (in the case of a forward girth groove horse), which reduces the saddle’s tendency to be pulled forward into the shoulders. With horses that have shoulder interference without angled billets, it simply moves the billets back to keep the saddle farther away from the shoulders. The secondary benefit to this shape, is that it is cutback at the elbows. This gives more room for elbow movement as well, and prevents galls in the elbow area.